This 17″ Archtop Guitar has a hand carved top of Engelmann spruce. The sides and back are figured maple. 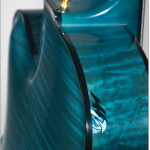 The inlaid abstract rose on the upper bout is made of ebony and mother of pearl. 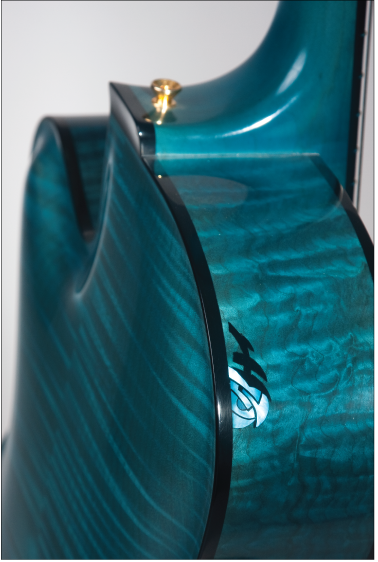 The signature “Letain” fingerboard inlays are mother of pearl on the ebony fingerboard. The tail piece, finger rest and truss rod cover are handmade of ebony. 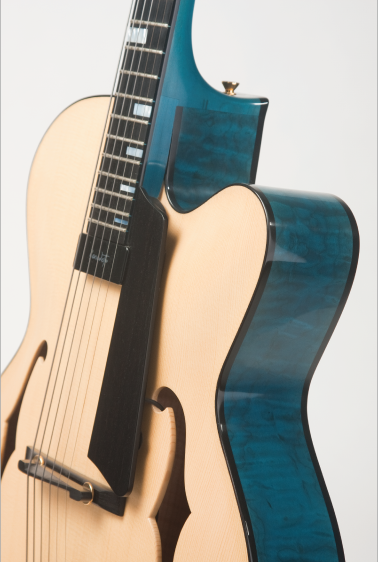 This Archtop guitar has a blue nitro-cellulose lacquer finish.